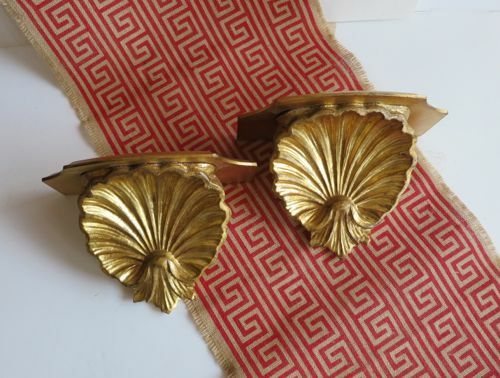 Gold pair of vintage gilt Florentine wall shelves or sconces. 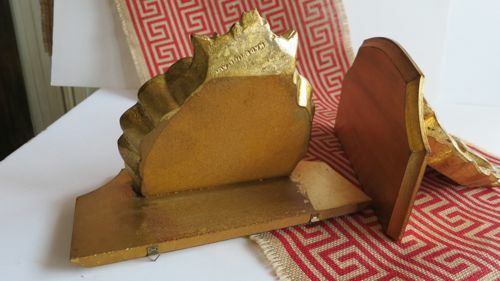 The gold-leaf grotto shell design projects from the wall, Palm Beach style decor! 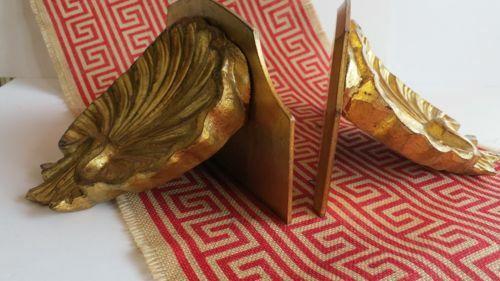 Measure approximately 7" long, 10"wide and 6" deep, and are stamped "Made in Italy", found to be in overall great vintage condition.